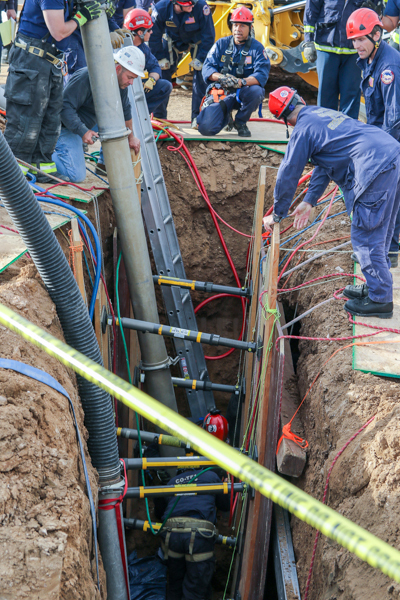 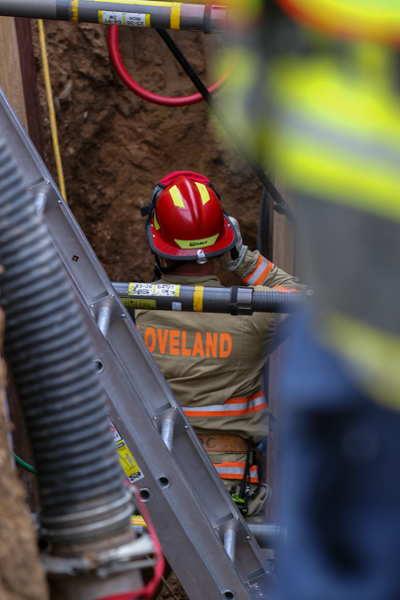 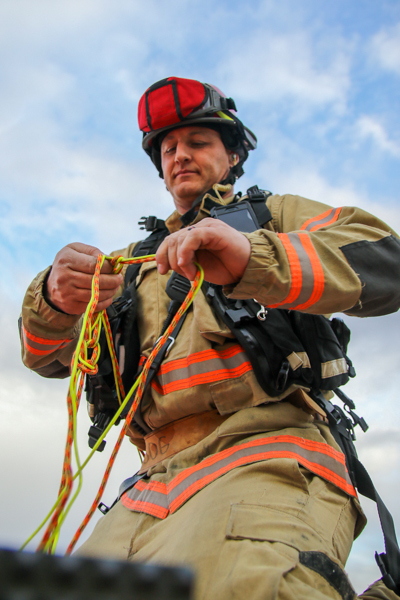 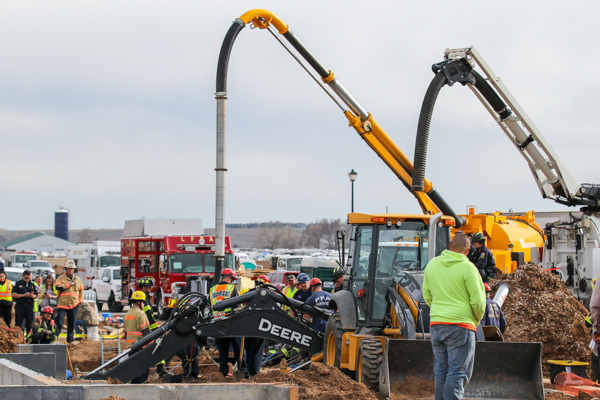 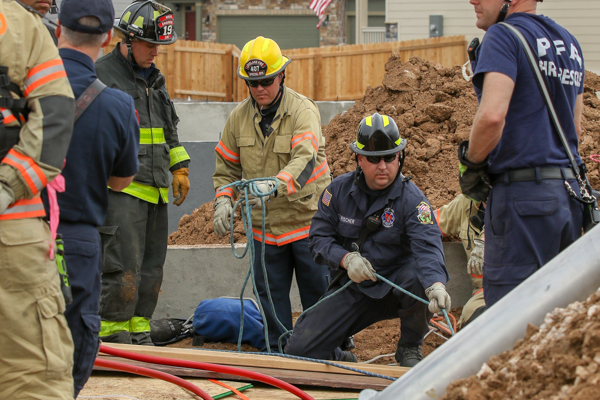 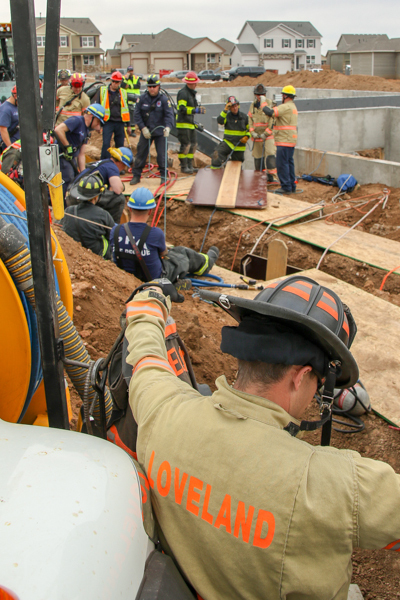 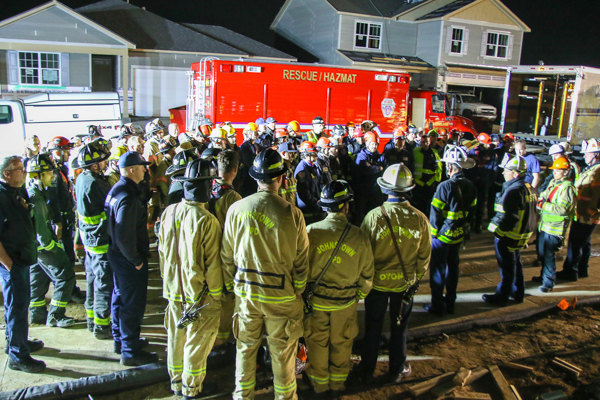 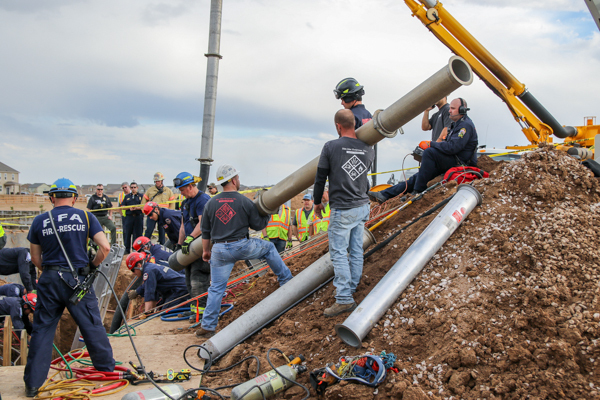 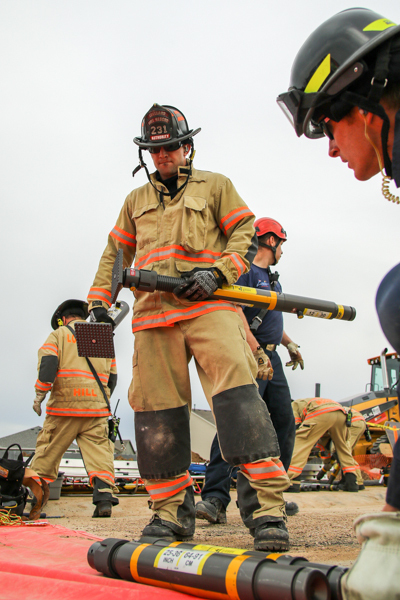 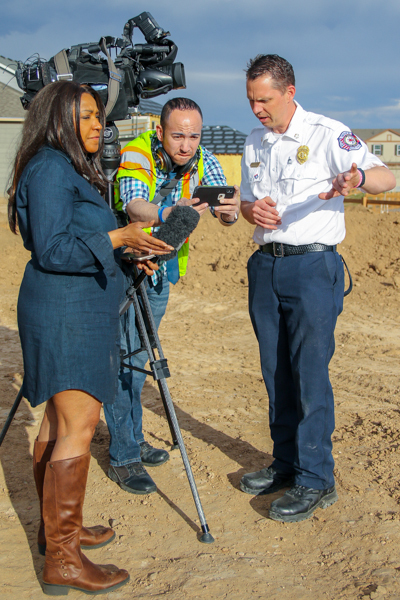 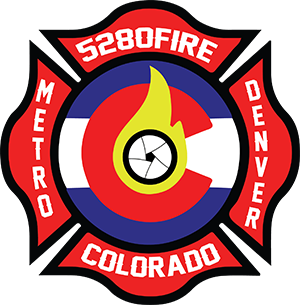 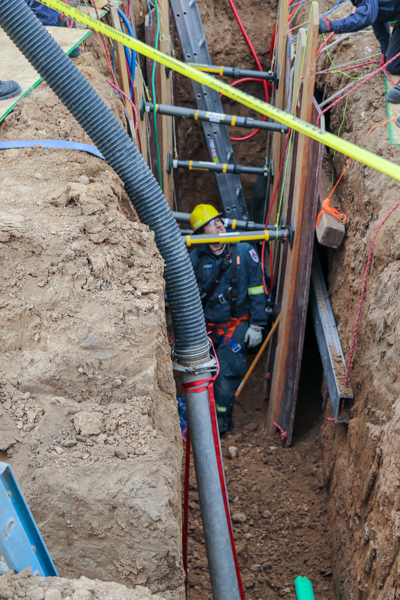 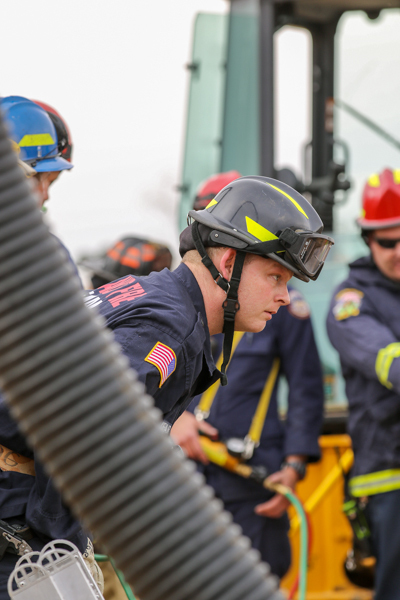 At 14:19 on April 16th, 2019 Windsor Severance Fire Rescue responded to a trench that collapsed at a home construction site in the 900 block of Camberly St. with two workers trapped inside a 15-foot deep trench. 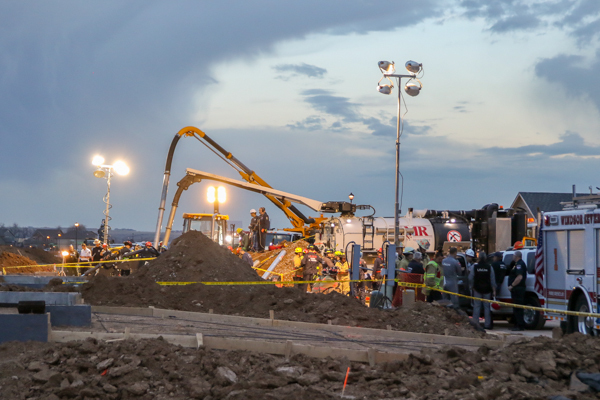 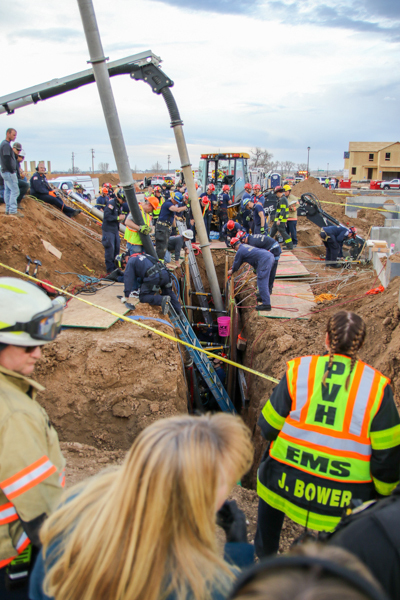 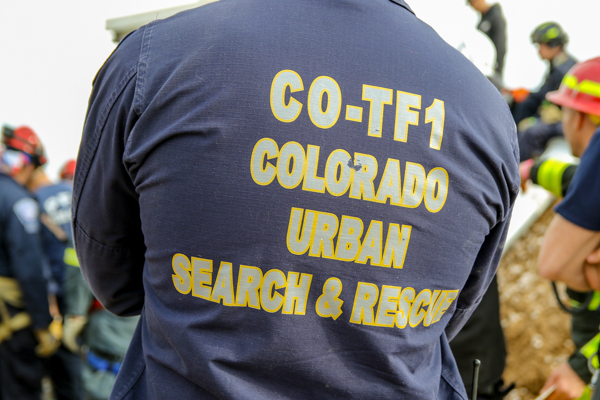 Crews arrived to 2 patents that were trapped in the 15-foot deep trench when it collapsed, both buried. 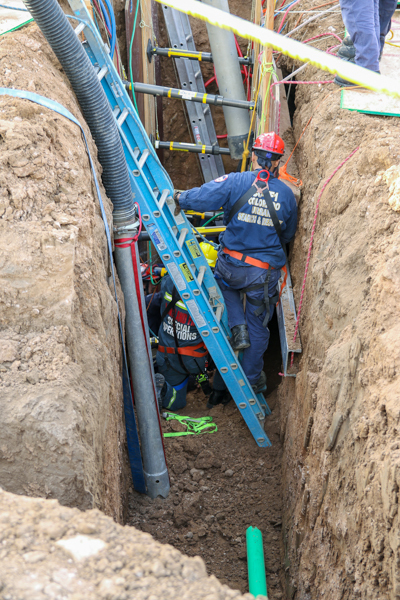 Crews worked for several hours, and due to the soil conditions, crews used hand shovels and buckets to remove the soil. 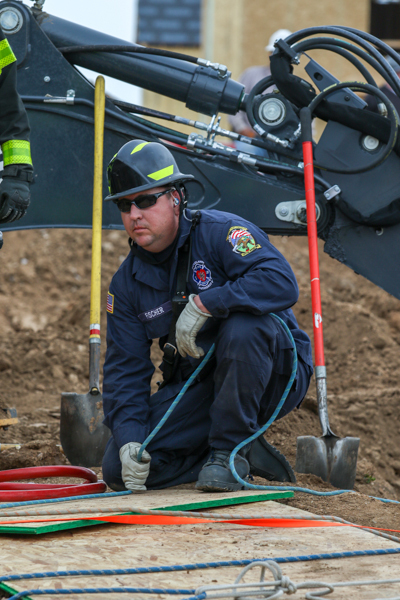 Windsor Public Works Department was called to the scene with their heavy duty vacuum unit, which was able to remove a lot of the soft dirt from the trench area. 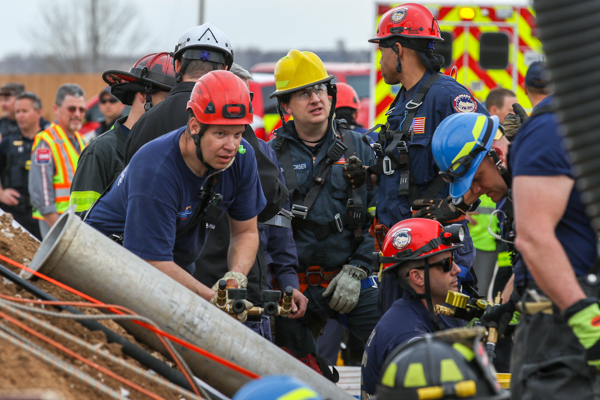 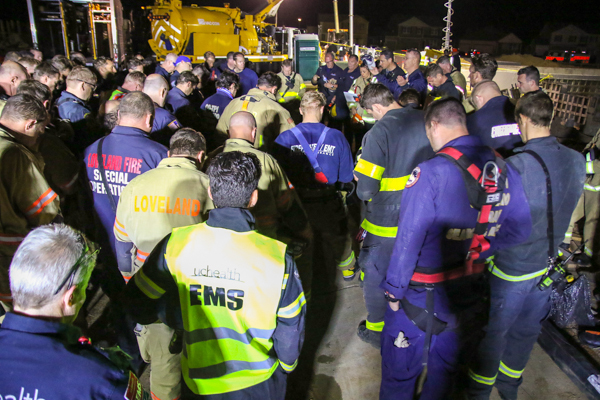 When crews reached the trapped workers, both had succumbed to the injuries that they had sustained in the collapse, and the operation was switched from a rescue to a recovery. 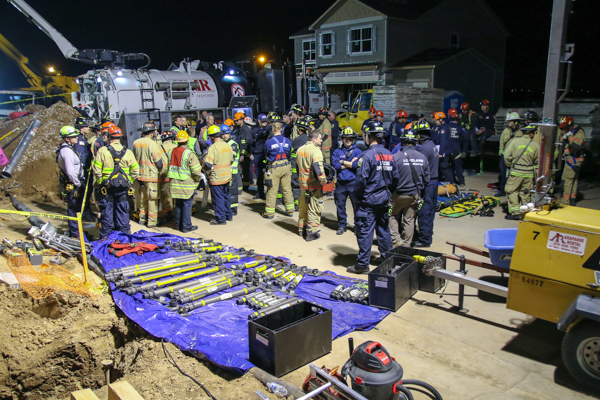 The first victim was recovered at 01:30 and the second at 01:50. 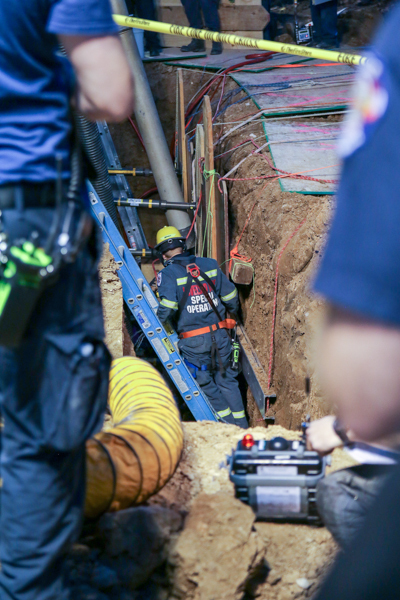 The Emergency crews worked for about 13 hours on the incident. 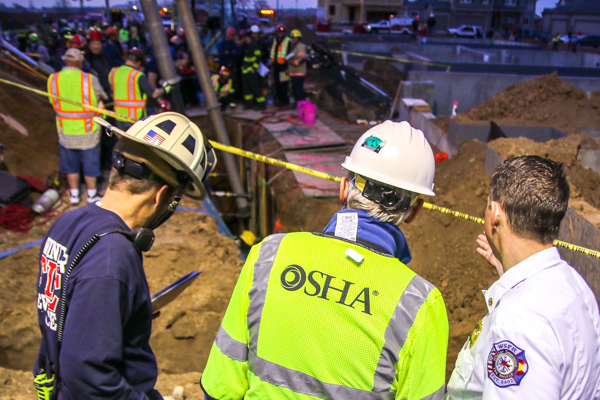 The cause of the collapse is under investigation. 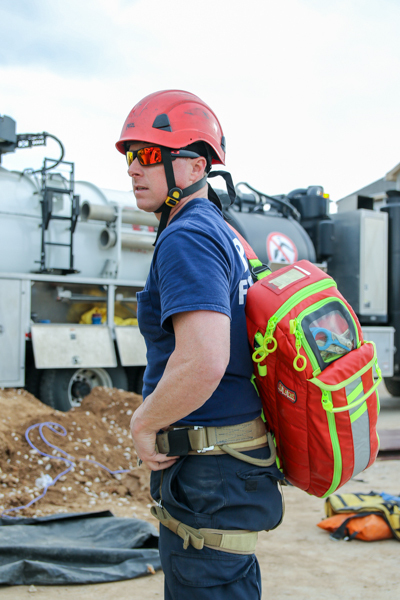 Eaton Fire Protection District back-filled the district. 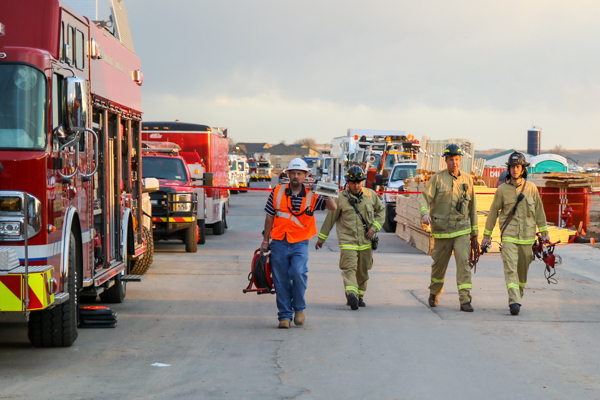 Additional information was provided by Windsor Severance Fire Rescue.